Cindy was raised in a family that valued music. Years ago, when she first encountered the concept of attunement (becoming one with) in her spiritual search, it felt natural and like “home.” She recently bought a harp, not realizing at the time that it was to be part of her spiritual journey. The man who made the harp told her that it takes 50 tunings of all 34 strings for the harp to begin to hold its pitch – and a full year for the instrument to come into its full voice. Even after the harp is tuned, changes in temperature or humidity can throw it off. So, too, it is with tuning the human instrument, the heart. It takes many “tunings” until we can hold our true pitch and vibrate with the divine qualities of unconditional love, peace, and joy. Our hearts need to be tuned to these ideals, just as a harp needs to be tuned. The conditions that make it challenging to hold attunement in our hearts include difficult people who trigger us into reactivity, bringing us “out of tune.” Past traumas and wounds also challenge us. The universe conspires perfectly to help us heal by providing the persons and situations that activate these wounds, making them visible and thus providing a trail to follow. The mystics believe our wounds are like an umbilical cord to God. Following this cord to the deepest level allows healing and reveals our true Self -perfectly tuned – which was obscured by the wound. Our wounds are a result of living in the world. Difficult people in our current lives reactivate those original wounds and pull us further out of attunement to the divine. As we become out of tune, the parts of us that are reactive, wounded, and protective take over and behave in a discordant manner. 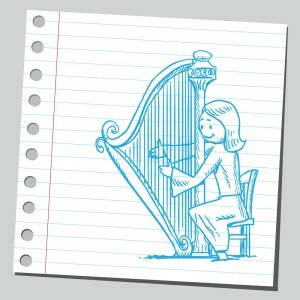 Like the harp, we also need ways to return to our true pitch. The following exercise is one way to do so. Read through it and then go back and try it. It may be helpful to have someone read it to you, or you could tape-record it for later playback. With your eyes closed, see, sense, or feel a person you are having great difficulty with. Just see yourself there with that person. Become aware of what it feels like in your body, what energy is present. Now let the difficulty begin to arise. Let it happen. Just sense yourself in the thick of it. See yourself responding as you would in a very reactive state. This would probably include blaming, anger, and projection. Allow this, feel it and express it. 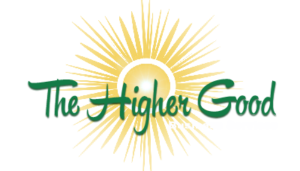 Then, have that triggered part of you step outside of the situation and take a moment to attune to the qualities of your higher Self. Review what just happened, but this time see it through the eyes of your higher Self, which has calm, clarity, and no need to defend your ego. Let your higher Self teach you how you might handle this differently. Then return as your higher Self and see how you deal with the difficult person. Watch, feel, and listen to what your higher Self brings to the situation. What words, gestures, tones, and attitudes are used? Watch how it goes for awhile. After a few minutes, thank your higher Self for showing you a new way. Take a few deep breaths and open your eyes. Prayer is another way of attuning the heart. We can pray with thoughts, words, actions, and with our whole being. Because thoughts can sometimes limit our experience of the divine, we must be willing to go beyond the purely mental realm. One form of prayer involves setting an intention with the purest voice in our heart to connect with God. Setting the intention to align with our higher consciousness, we become more fully attuned to the divine aspects of our nature. While working with the breath, you can experience the “breath inside the breath,” which is spirit. The following are some practices that come from the Sufi tradition, a mystical path. The word Sufi means “unfoldment of the spirit towards its original condition.” It is derived from an Arabic word meaning “pure.” These practices are meant to help you connect with your true Self, the Self that is free from conditionings and impressions from the world and is attuned to divine ideals. Begin by paying attention to the breath, breathing deeply and consciously. 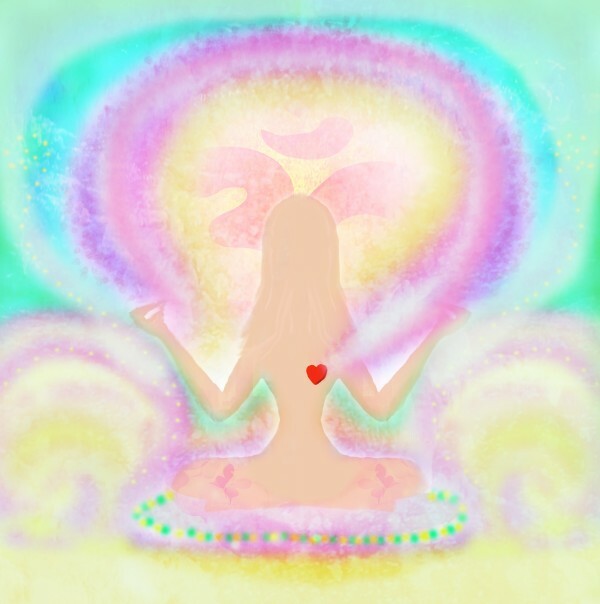 On the exhale, silently say “I am not my body.” On the inhale, say “I am a temple of God.” Each time you repeat these phrases, allow them to permeate your entire being. Repeat them 10 times. On the next exhale, say “United with all.” On the inhale say “Towards the One.” Repeat these phrases 10 times. The last breathing practice is a much deeper practice of surrender and intimacy with God. For some, surrender feels easy and peaceful, but for others there is resistance or doubt about surrender. This practice is a moment of faith when we give ourselves up. Where there is no place to stand. We surrender into the unknown. Surrender is the desire to be one with the divine. This time on the exhale say “Not my will.” On the inhale say “But Thy will.” Repeat this 10 times. Notice any thoughts, feelings, or sensations that arise. The harp requires 50 tunings to begin to hold its pitch. Our heart also needs the benefit of regular tuning. We all work to develop a spiritual practice that moves us toward a truer pitch, toward a fuller expression of unconditional love, peace, and joy in our lives.